Training sessions and classes should be enjoyable for your dog and for you as the owner. Doggiedodoggiedon’t uses positive reinforcement to increase the bond between you and your dog whilst diminishing unwanted behaviours. Training is taken at a pace to suit each dog’s individual requirements. Each dog is different and learns at a different pace, it is important to remember that. We provide relaxed, calm environments, which make for better learning for both dogs and owners. Positive training methods may take longer in some aspects than other training types but your dog will learn properly and without quick fixes. Positive methods in training are based on proven scientific evidence. Training classes are held at Walnut Pet Supplies (Walnut Tree, Milton Keynes) and Yardley Hastings (Nr Olney). Socialisation paired with training are the key to a well-balanced dog. 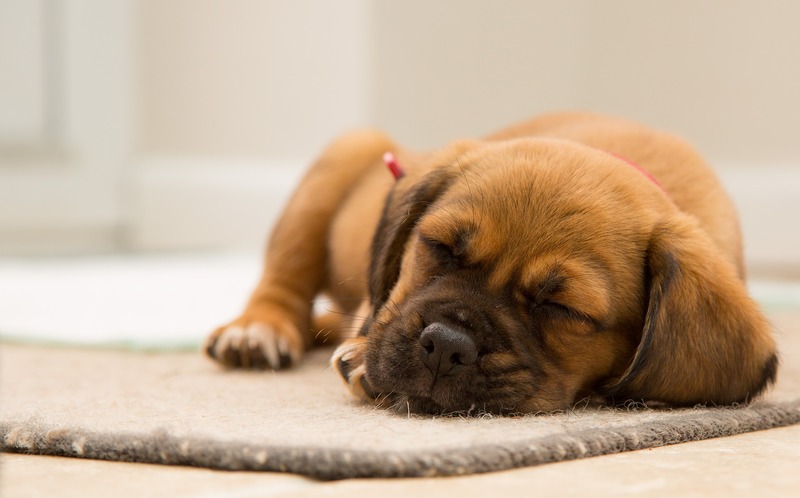 Puppyhood is a critical time for the development of your dog and their temperament; anything done in this short period will affect your dog’s behaviour for life. A well socialised puppy will make a well adjusted dog that is not aggressive or fearful of day to day objects, other dogs, people or situations. A dog that has missed this critical socialisation period as a puppy will be more unreliable around other dogs, new objects or situations; many become fear aggressive. Un-socialised dogs usually are not good around other dogs and new people and will be likely to fight or bite. Any new situation an un-socialised dog faces can become out of hand very fast and is generally unpleasant for the owners and dog; this includes a simple visit to the vet! 3 – 8 weeks: Puppy learns to interact with his mother and littermates; he will learn canine behaviours. 5 - 12 weeks: Puppy learns how to interact with humans. His confidence is established. He will learn through association. From 8 weeks, everything learnt here will be permanent and remain for life; frightening the puppy needs to be avoided as this can have a lasting effect. 10 – 20 weeks: Puppy will learn by exploring new environments. Introductions of new people and dogs are extremely important in this period to avoid fear of these. If puppies are not exposed to a range of different stimuli at different stages within their development and critical period, then there is a high risk of them developing behavioural problems later in their life (corresponding to the relevant stages shown above); these behaviours are often complex and more difficult to deal with. In the first sixteen weeks of life a puppy should be introduced to many different experiences and people; people of different genders, ages and races. Puppies should also meet new dogs of different shapes, sizes, colours and breeds. All exposure to puppies should be made up of positive experiences. It is extremely important that a puppy meets new dogs. Socialising with just another dog in the home is not sufficient for this. Many people bring a puppy into their home with an existing dog already there; socialising with just the other dog in the home is not adequate. It is essential that a puppy meets new and different dogs regularly. Puppies that are only socialised with another dog within the household will grow up to be good with that dog but not with any other dogs; this can be very limiting to owners in respect of where they can visit with their dog. 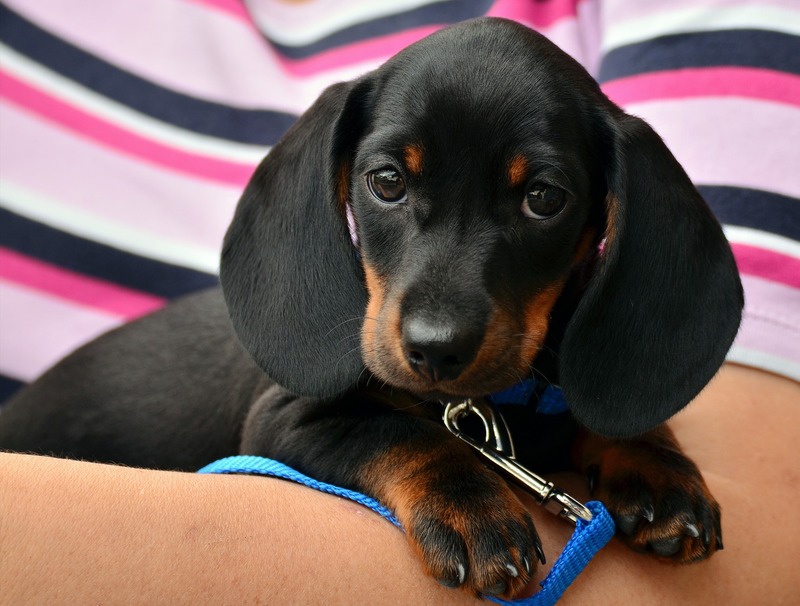 A puppy who may leave his mother at 6 weeks will not have gained the relevant skills needed to interact with other dogs properly; this may lead to never being able to interact well with other dogs. On the other hand a 17 week old puppy who has never met new people is unlikely to ever have good dog-human interactions. A puppy will learn about bite inhibition when they are with their mother and littermates (between 5-8 weeks); bite inhibition is when a puppy learns their ‘own language’ and learns to moderate the strength of a bite and his mouth. Hand reared puppies can suffer with multiple behavioural problems; dog-to-dog skills and behaviour interactions have often not been learnt from the mother and littermates and the puppies have not necessarily come into contact with many different people. Bite inhibition will not have been learnt by the puppy due to the separation from mother and littermates. The ideal age to bring a puppy home or have him separated from his littermates would be at 8 weeks old. If he is getting no interactions or exposure to new and positive experiences then this would be the only exception to getting a puppy slightly early but not before 7 ½ weeks; this is only if you are going to provide exposure to a variety of different experiences. Good breeders will begin socialising a puppy early with multiple different experiences and stimuli; these puppies who are gaining proper socialisation could stay with the breeder slightly longer. Puppy parties are provided by Milton Keynes Veterinary Group for owners to bring puppies for early socialisation, these are for puppies that cannot go outside yet. Without going outside a puppy misses out on socialising with other dogs, however these puppy parties allow your puppy to socialise with other young puppies in a controlled environment before they are allowed out. Other experiences and stimuli can be introduced slowly whilst carrying a puppy out and about. These puppy parties can be extremely beneficial to a young puppy prior to meeting the big wide world. It is important that socialisation does not stop after 16 weeks but continues for at least the first two years of a dog’s life. Socialisation is most effective prior to three months of age. Doggiedodoggiedon’t holds puppy parties for fully vaccinated puppies up to 6 months of age; so many people struggle with socialising their puppy due to there being so many un-socialised dogs around, this is a way that puppies can continue socialising in this critical stage of their lives. You cannot over socialise a puppy but it is important that all experiences are there to aid the puppy and provide positive experiences to shape a good character. It is essential to make sure that each experience is pleasant and non-threatening; don’t force an experience or push it too quickly. The idea is to provide the experience opportunity for the puppy. If a puppy's first experience with something is frightening or hurts them, you can easily create a phobia that can last their entire life. It is also important not to reward any fear behaviours shown by a puppy as it just feeds the fear; it is usual that a puppy may feel apprehensive about meeting new stimuli. You cannot expect a puppy to meet everything in this critical period that he may come across in his life but it is important to ensure he meets as much as possible and many new positive experiences to ensure that he is more accepting of novel stimuli and situations in the future. Don’t wait to socialise a puppy. Days are precious; days missed are opportunities missed, they are lost forever.